Adam and I went on our first holiday together last year and myself and the kids have also been abroad together however we hadn't been on a family holiday together yet so when Bluestone got in touch and asked whether we would like to experience a mid-week break at the resort this summer we jumped at the chance. We were kindly invited to stay at Bluestone back in July and were given a Tenby lodge. Bluestone is a family resort situated in the beautiful surroundings of Pembrokeshire. Our lodge was in Castle Close which was quite far away from everything but we decided to hire a buggy pre-arrival to get around which was £92.50 well spent! If you have young children then we would highly recommend hiring one. 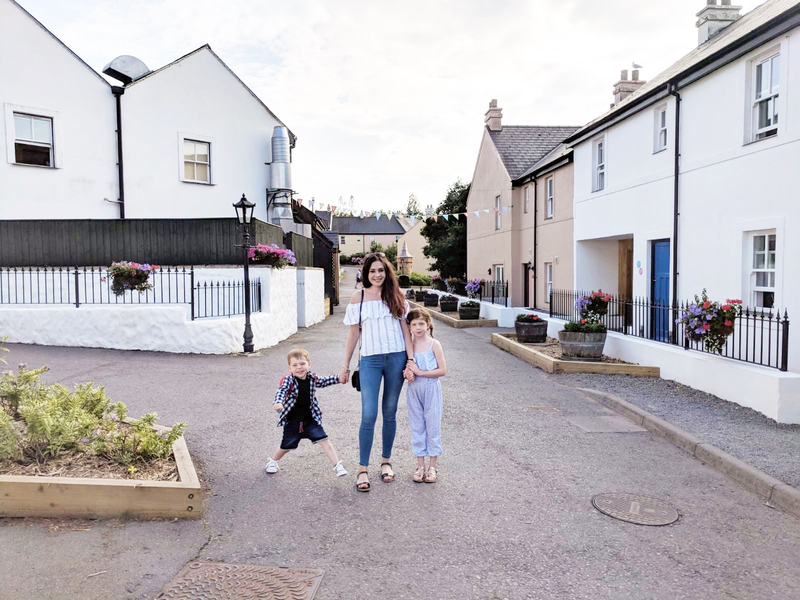 Our Tenby Lodge on Castle Close was the perfect base for our stay. 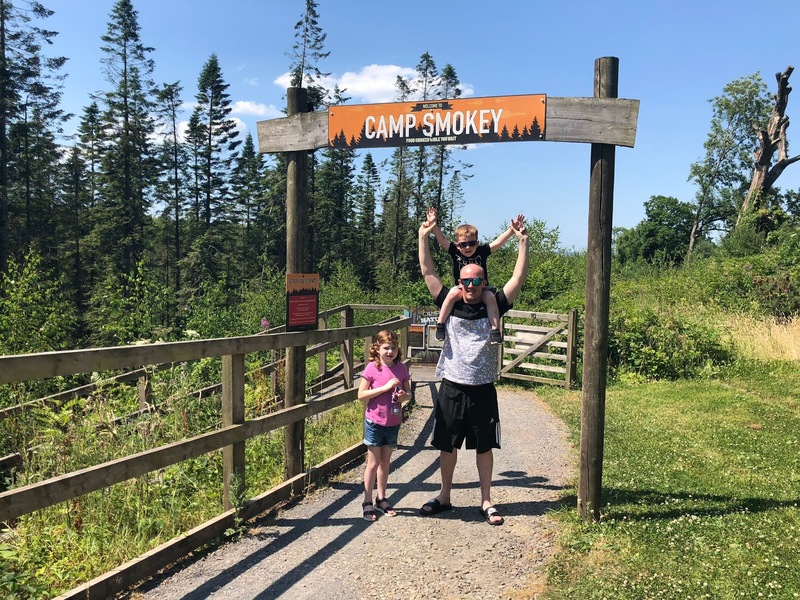 We had a one and a half storey semi-detached lodge with interconnecting doors if you wished to use it if you had a larger family or two families staying together. There was another family staying next door but we didn't hear them once so the walls must have been pretty soundproofed which was great. 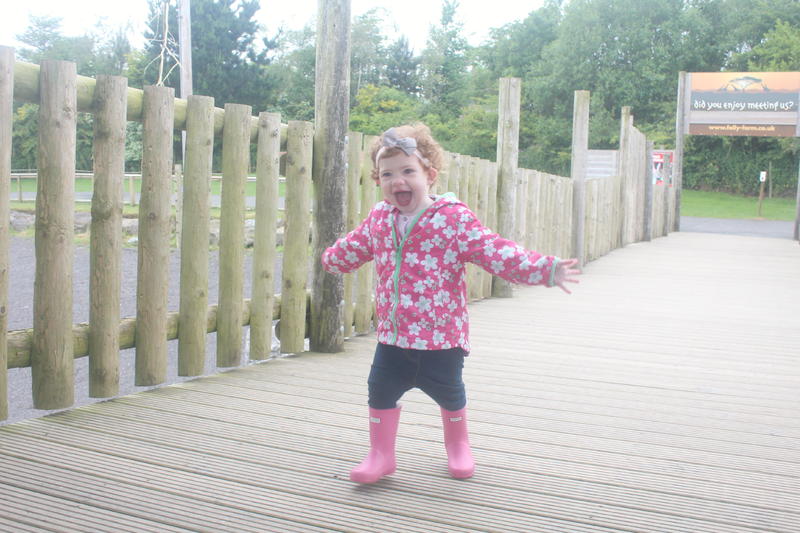 There are 16 different types of lodges to choose from to suit your families needs. The self-catering lodges are modern and stylish with free wifi for the duration of your stay. 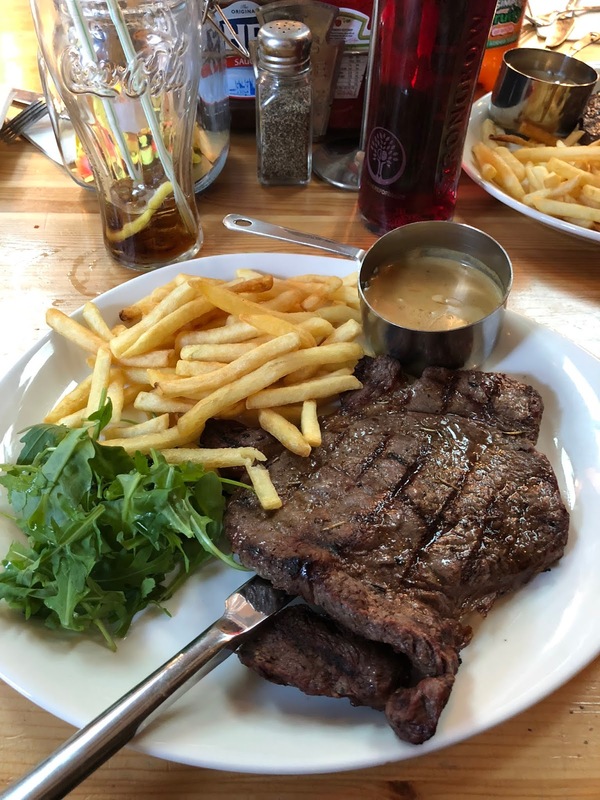 The lodge had an open-plan living, dining and kitchen area downstairs which was very spacious as well as patio doors which opened up with a wooden picnic bench and a grass area for each lodge around the back of the lodge as well as a bike rack if you had bikes with you. The picnic bench was nice to have to sit on in the evenings when we got back before heading out for dinner. I can imagine when the weather is warmer that they'd be great for having a barbecue if you wanted to stay at the lodge and cook instead of eating out every night. The lodge has an open plan living/dining/kitchen room which has everything you need for your stay. We didn't really use the kitchen much only for breakfast and lunch now and again but it was good to know that if we did need something it was there. The living room space has two sofas, a coffee table and a TV which overlooks the back of the lodge. The dining area is spacious and also has a highchair if needed. 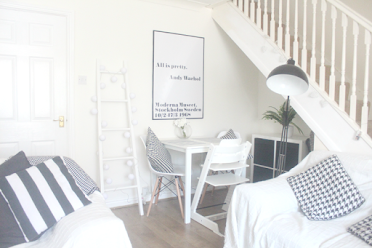 Downstairs were two twin bedrooms and then a huge double room upstairs with an en-suite. 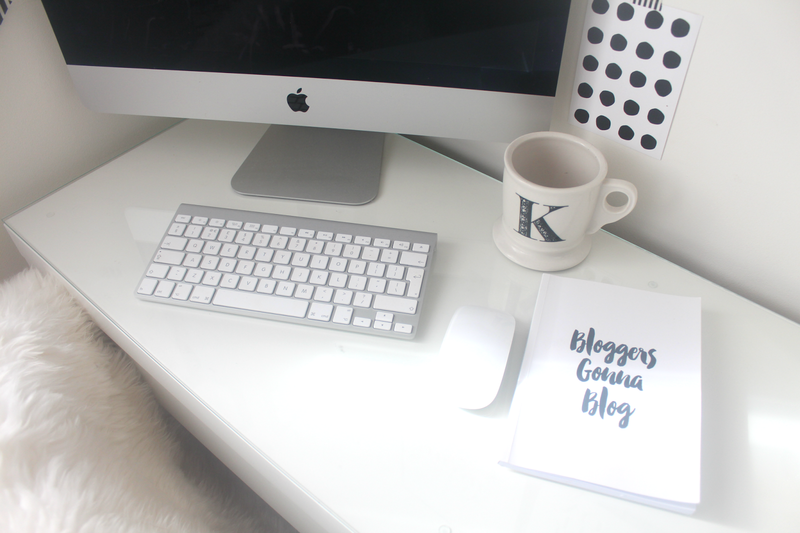 We put the beds together downstairs so the kids had a double bed each as I was worried Harry would fall out as the beds were quite high and if they shared a room they would never go to sleep so that seemed like the best option. Although there were baby gates on the stairs I do think it would have been useful to have a spare or at least have one on one of the twin bedrooms especially with it being a family resort. 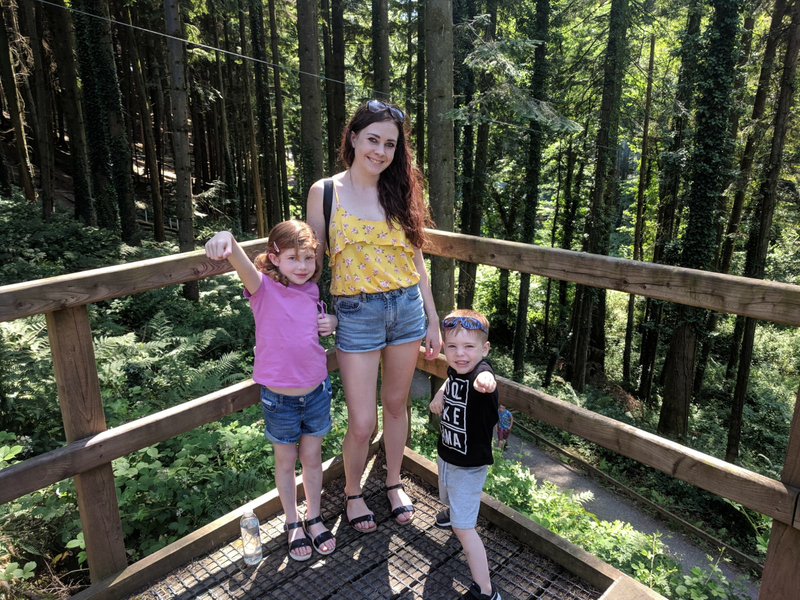 Both of my kids loves to explore and get into things so. Also I do think there should be some way to lock the door properly from the inside, Harry can open the door himself which was quite concerning especially without a safety gate on the bedroom doors so we had to secure the doors shut ourselves with chairs and heavy objects to stop him from escaping during the night! A simple chain lock high up would resolve this. 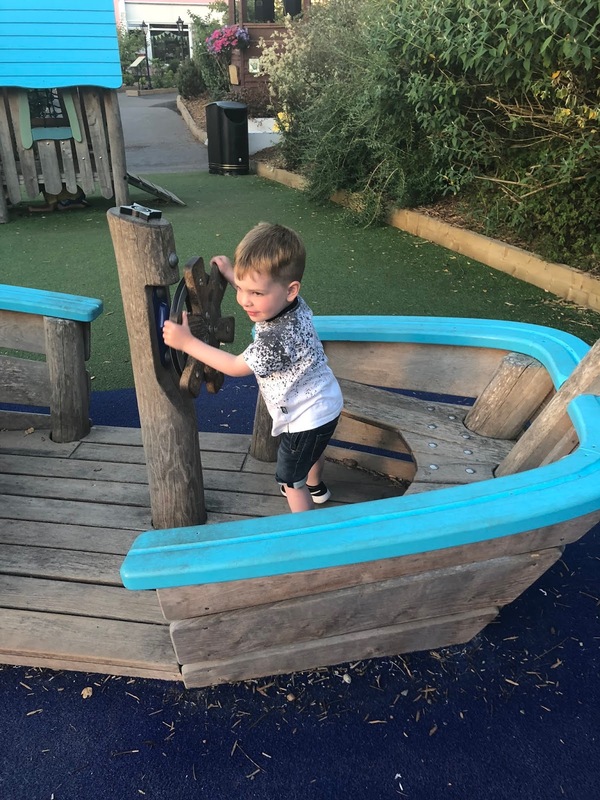 There's something for kids of all ages, for younger children like ours theres an outdoor play area in the village, a huge indoor adventure centre with a messy play area for under 5's and lots of activities. For older children and adults there is archery, a zip wire, a climbing wall, kayaking. 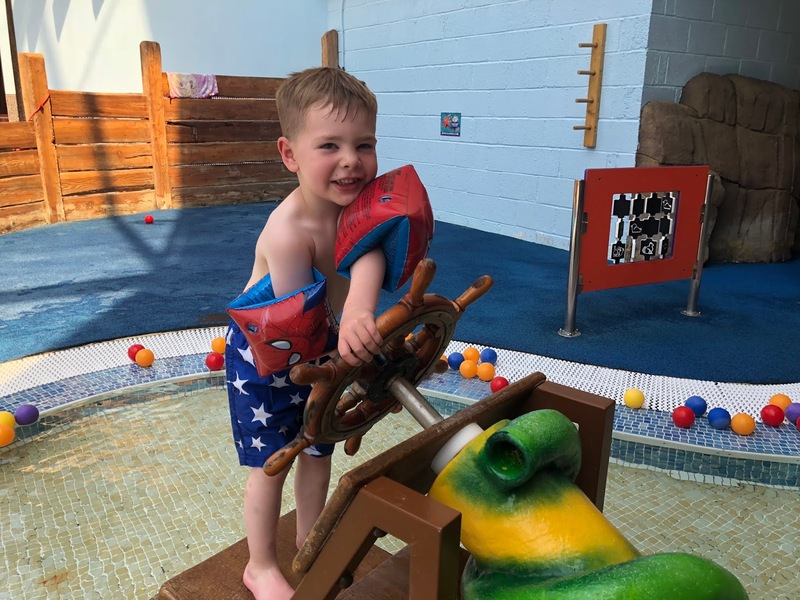 The Blue Lagoon is a short walk from the main car park and is an indoor and outdoor waterpark suitable for all ages. 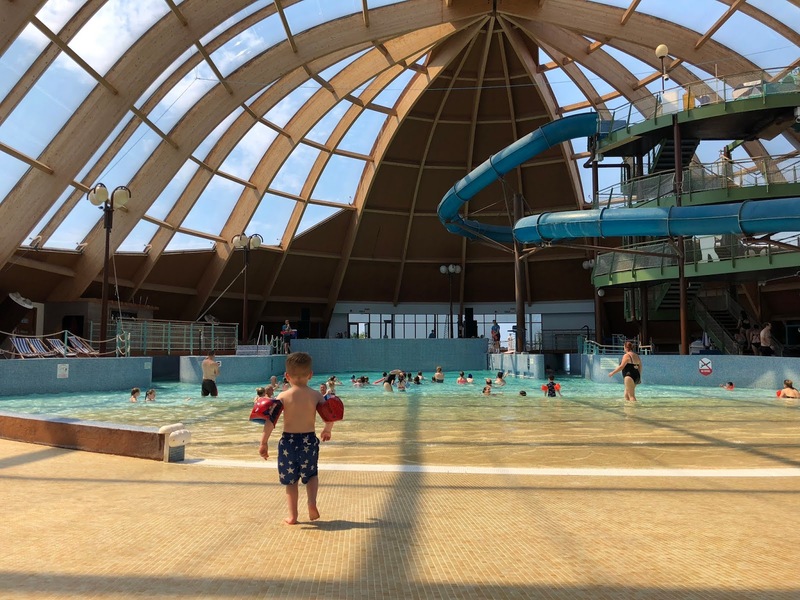 There is a wave pool and slides as well as a lazy river. The kids loved it, after Amelia stopped splashing Harry in the face. Theres a little splash pool for the little ones which is very shallow with a little rock pool area. Harry loved playing in there and spent most of his time on his belly floating around. 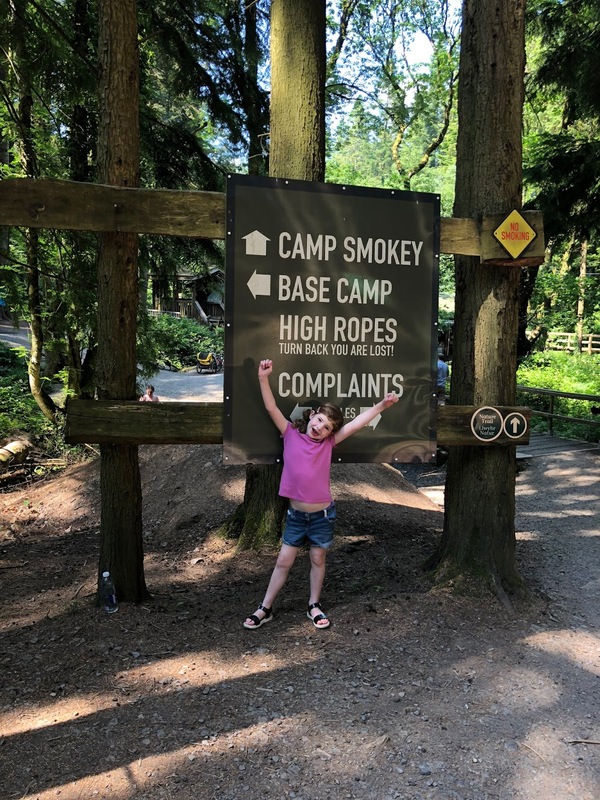 We took a walk down to Camp Smokey which has changed a bit since we last visited and now has a wooden ramp which is great especially for those who found the steep hill hard to walk up. It's a place to enjoy outdoor dining with a difference. 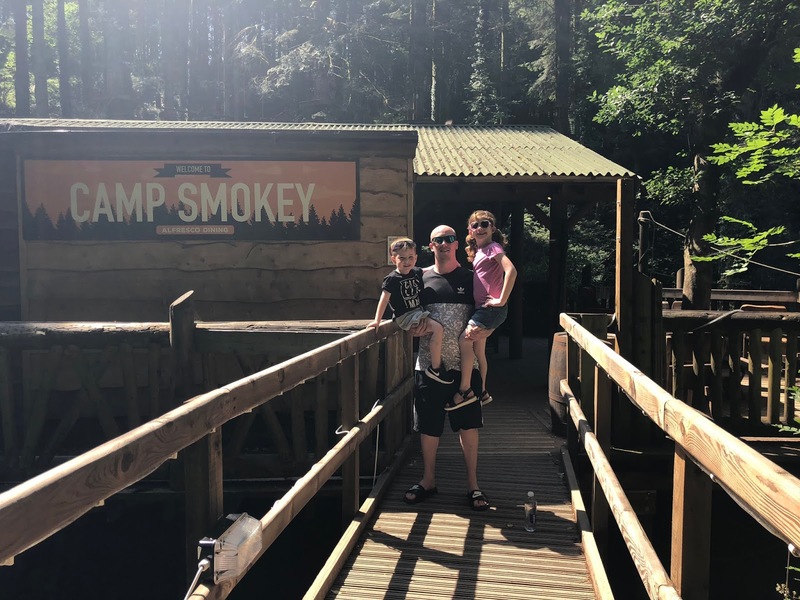 It is the perfect venue to enjoy delicious smoked dishes all cooked to sizzling perfection right before your eyes and to watch friends and family overhead on zip wires. We took a walk whilst we were down there and ended up at the Troll bridge which was a nice little walk to get out of the main resort. 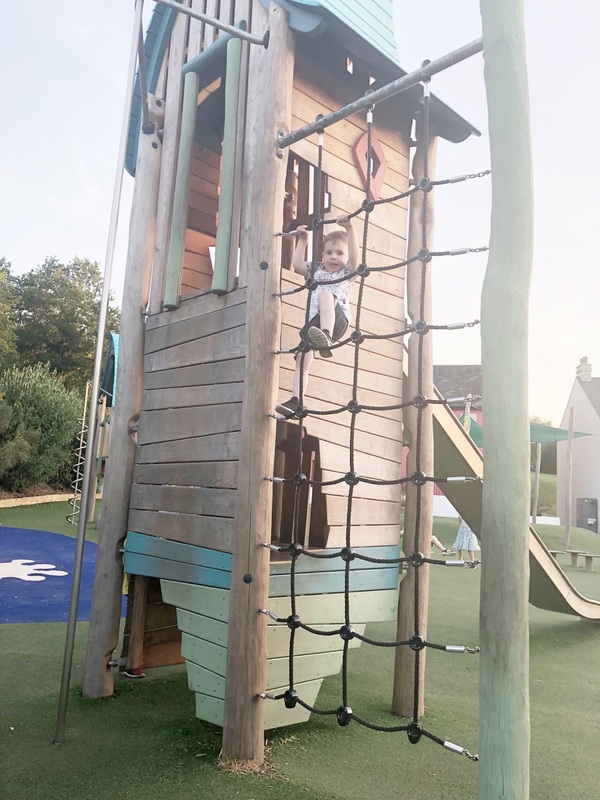 There is a Treetops Adventure playground in the village complete with a new Treetots area just for under-6s. We went there every night before or after dinner so the kids could play and they met some friends which was nice. 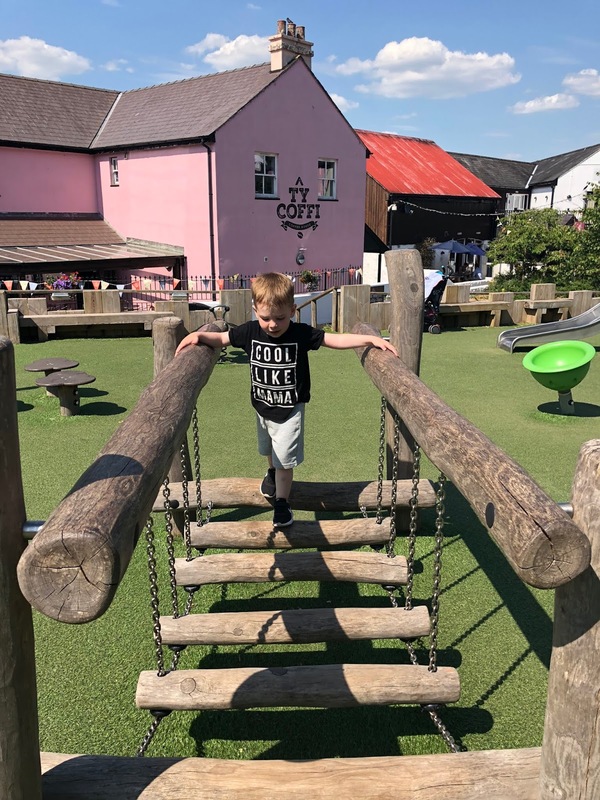 The playground has been expanded since we visited back in 2013 and it a lot better. Theres plenty for the kids to play on and there were some benches so adults could supervise. 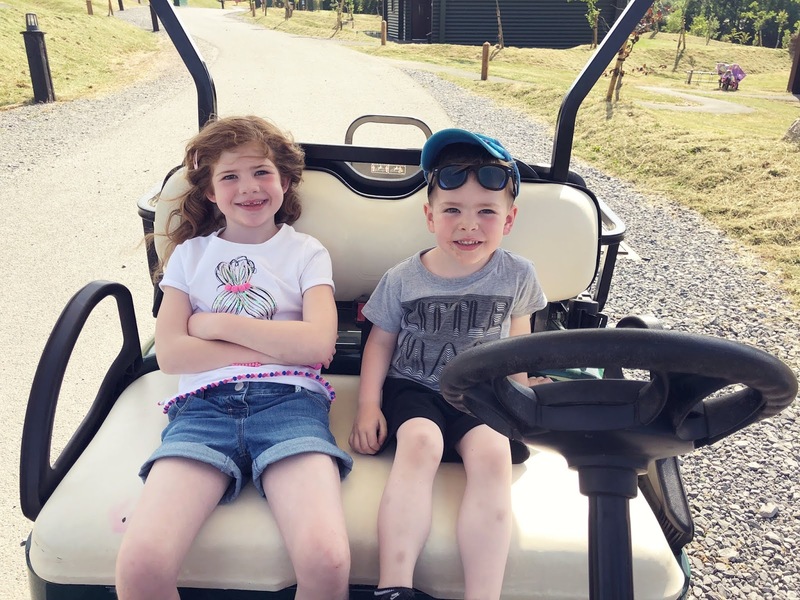 I'd definitely recommend hiring a golf buggy to get around the resort especially if you have young children. The kids loved riding on them and even steering the wheel when we let them. 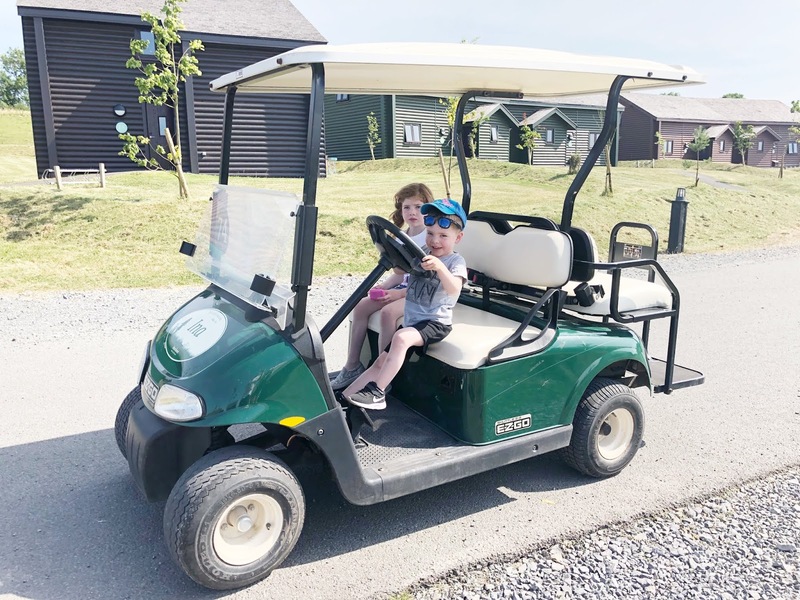 Each buggy has a welsh name which is pretty cool and the kids and ourselves had fun spotting them whilst driving around the resort. The resort is a car free zone which is great as it means you can walk around and not have to move out of the way for cars all of the time. 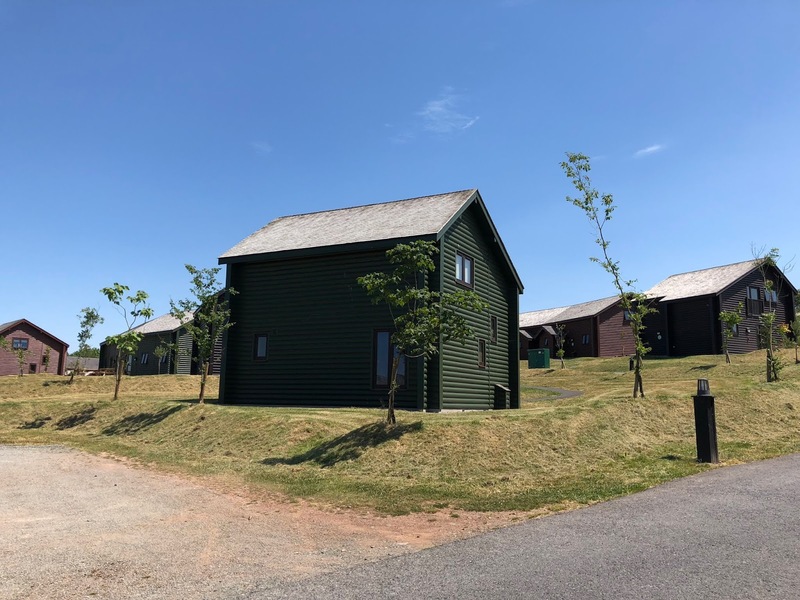 As well as the lodges being fully equipped with self-catering facilities there are also a number of options on site to choose from. 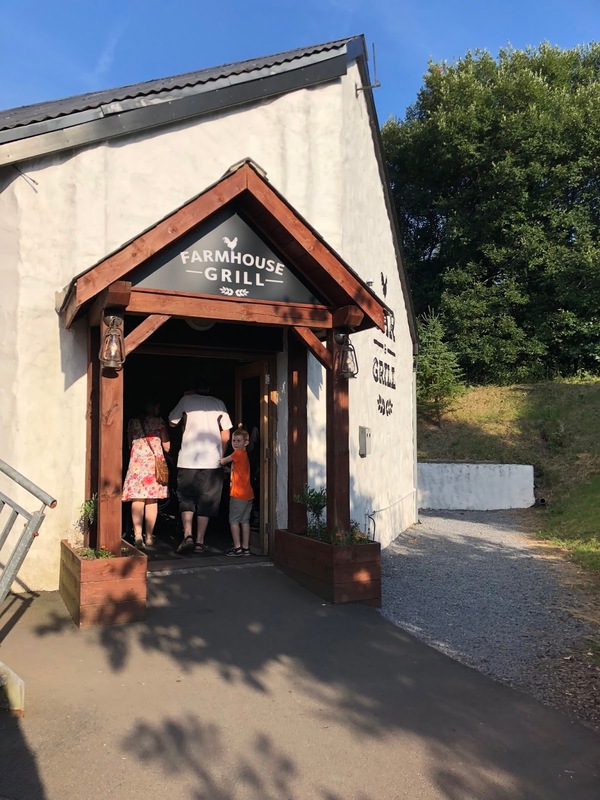 On the first two nights we ate at The Knights Tafarn which served up standard pub food, on the third evening we decided to book a table at The Oak Tree restaurant which was mainly pizza's and pasta dishes. You could also order pizzas to take back to the lodge which I thought was a great idea. 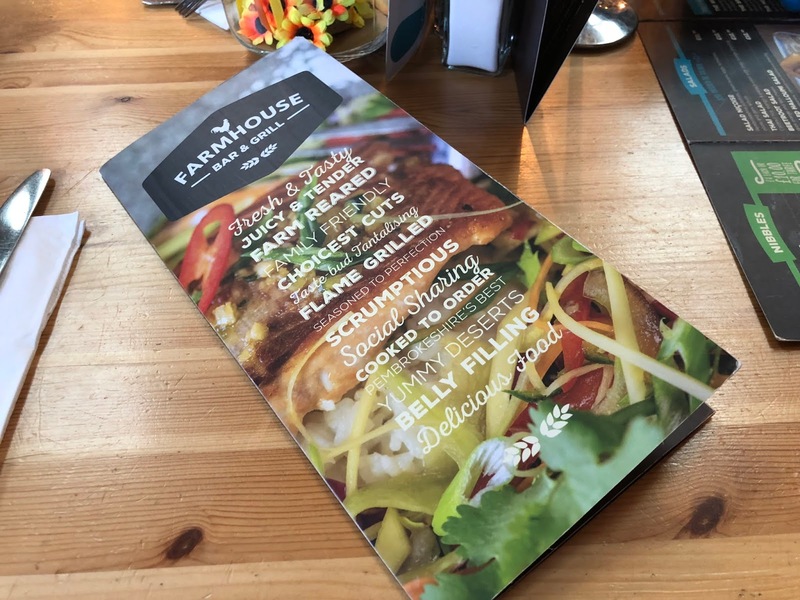 On our last night we decided to book a table at The Farmhouse Grill and I'm so glad we did as this was by far the best meal we had all week! I wish we had tried here on the first night as we would have definitely ate there more if we knew how great it was. All of the restaurants have a children's menu so there was always something for the kids to choose from. There is also a chippy situated just behind the village which is great if you wanted a take-away option. 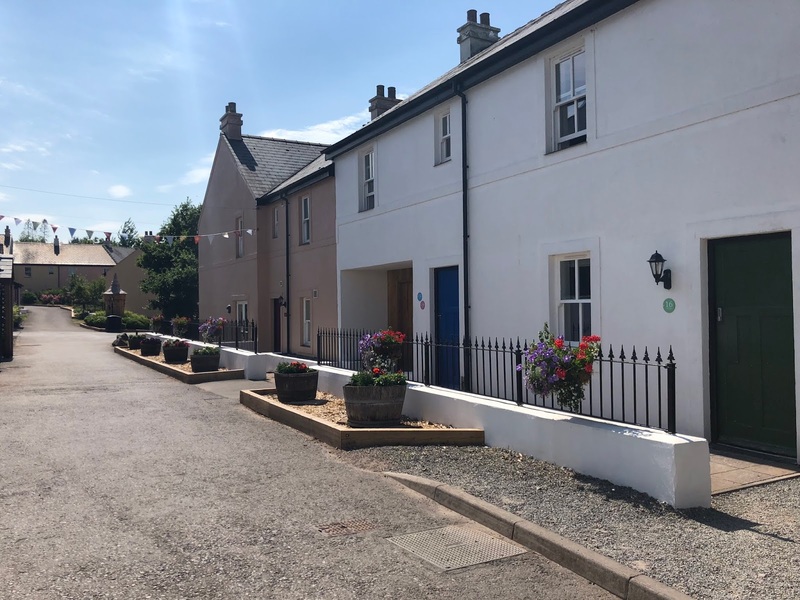 The Bluestone resort is in a prime location in the heart of Pembrokeshire which has plenty to do in the surrounding area. Tenby beach which is a short drive away is a great day out for all the family and is a beautiful beach. 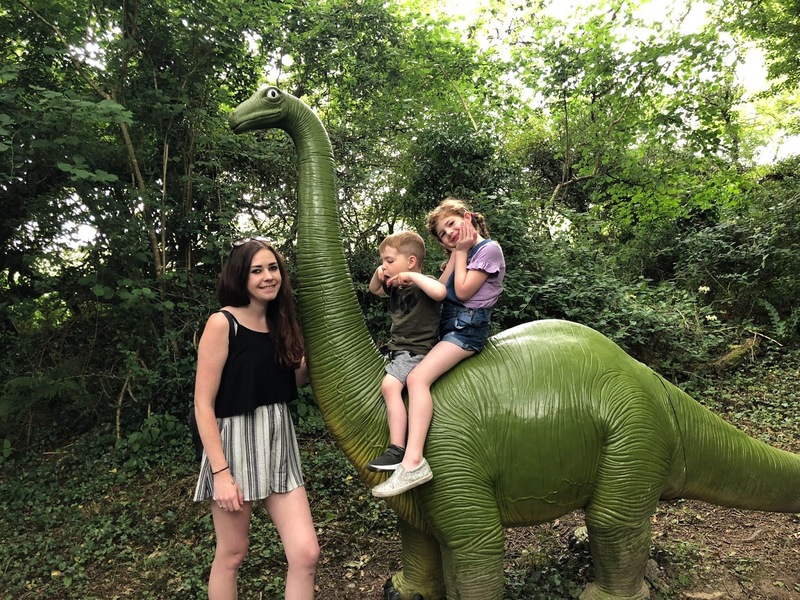 Tenby Dinosaur park is also another great family day out especially if your little ones love dinosaurs. There were lots of rides and activities for all ages and you could literally spend all day there. 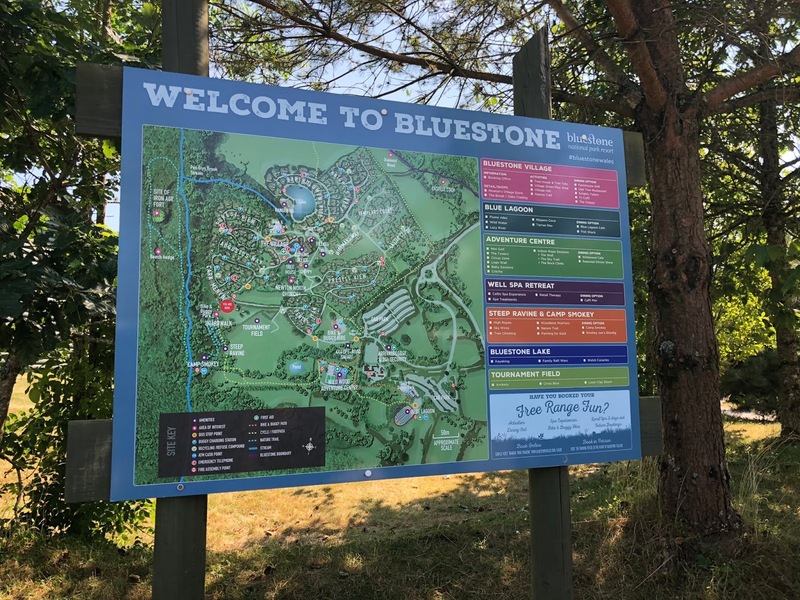 So to recap if you're looking for a fun, relaxing (at times) UK family break then Bluestone National Park is the place for you. 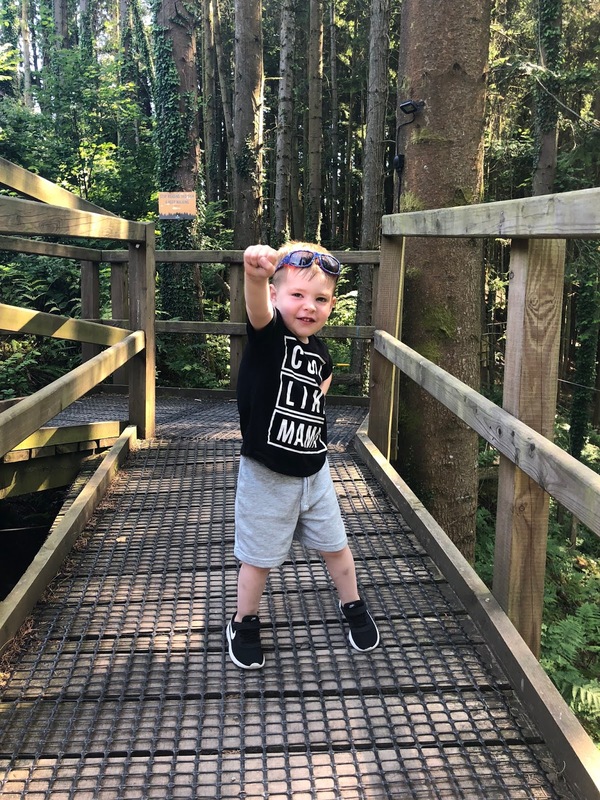 We can't wait to go back! * A mid-week break Monday-Friday staying in a Tenby Lodge is roughly priced at £519 (July 2018) however will differ depending on the time of year you wish to stay. 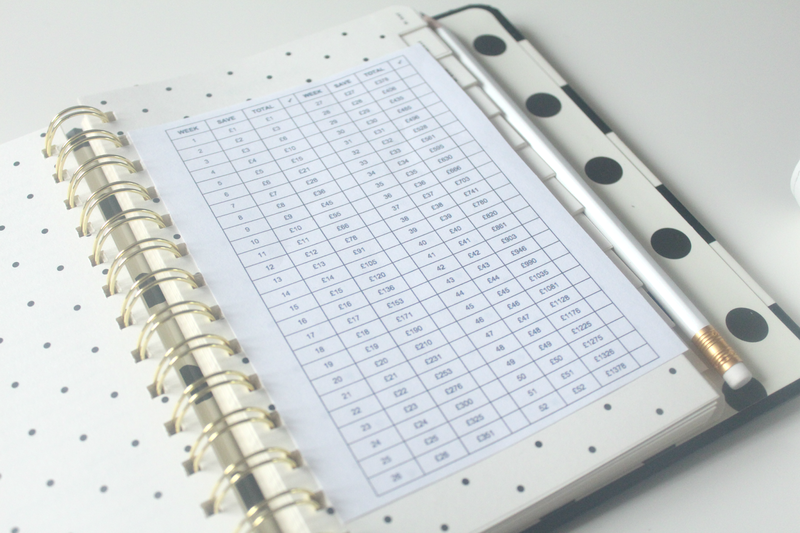 Visit the Bluestone website for more information and prices. *We were gifted this holiday in return for a review. All opinions are 100% honest and our own.